Jenny’s Print Shop – 25% off every print!! Yay!!! Use the code JPSTHANKS at checkout. Juniper Lumbars are 30% off! We just launched two new pillows, Midnight Stripe and Amber Stripe, and now would be a great time to pick one of those up! Use the code GIVETHANKS at checkout. Interior Define – Buy More, Save more! I am doing an Instagram give away with Interior Define this weekend too! If you buy three pieces this weekend you will get a $5000 room makeover with my design help! The Maxwell sofa is my FAVE. Madewell is offering 25% off with code DEALWITHIT – I’m buying a second pair of my very favorite black jeans and finally getting a pair of leather Red Wing boots which will be SO great for long job site visits! 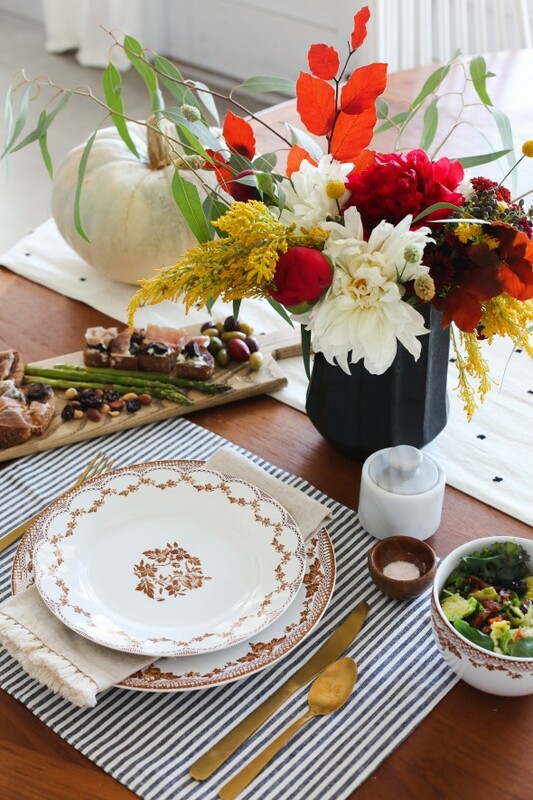 Anthropologie – 30% off your cart. This rust suede jacket was my favorite purchase this fall and I wish I could have got it at the lower price! Target – My favorite Dyson vacuum is only $189! CB2 – 15% off and free shipping – These leather chairs are AMAZING in person and so, so comfortable! I also really love this new coffee table! I’ll placing an order for sure. West Elm is offering up to 30% off during their Buy More Save More event and 40% throws, and select rugs and lighting! Some of our favorite throws are only $19! World Market is offering 40% off of all furniture and free shipping if you spend over $200! – We used the marble &brass pedestal table and rattan daybed in this room makeover! Pottery Barn is offering 20% off and free shipping when you use the code HOLIDAY. All of the bedding we used in this bedroom reveal was from Pottery Barn and I was so impressed with the quality. I especially love this ticking stripe duvet! Urban Outfitters is offering Buy 1, Get 1 50% off site wide, which is a perfect opportunity to grab two of these sconces for your bedroom! I also forever love these chairs! Also, I bought about a dozen of these cutest hair ties. They look adorable in my girls hair, but I use them a ton too. Also, this Mens hat is my favorite (for me! I got the small and the medium sizes and they fit great!)! I love the wide brim. Nordstrom – TONS of sales! This cute rust floral dress is only $27! Sew & Cloth is offering 25% off and I LOVE their pillows! Gap is offering 50% off everything with code BLCKFRIDAY! This is a great time to pick up a pair of my very favorite vintage style jeans! Wayfair – I’ve been looking for the perfect 72″ trestle table and this one is so affordable! It’s 50% off today! Amazon – This is the gorgeous rug I posted today on Instagram and I paid $100 more for it! $279 is a KILLER price for this rug. It’s my current favorite cheap-but-looking-expensive rug! And finally, the best sunglasses I have ever owned in my life are 25% off today! Happy Thanksgiving from the Juniper Team!! I don’t see where there is a code to put in for the 30% off for your lumbar pillows? I had the same problem, but if you add an item to your cart and then at check out click edit cart, it’ll give you a field for a discount code. Yes, but what is the code? Do the lumbar pillows from your shop come with the inserts or is it just the linen cover? Thank you! Just the covers! We linked to the down inserts we like on the shop site but most body pillow inserts fit. 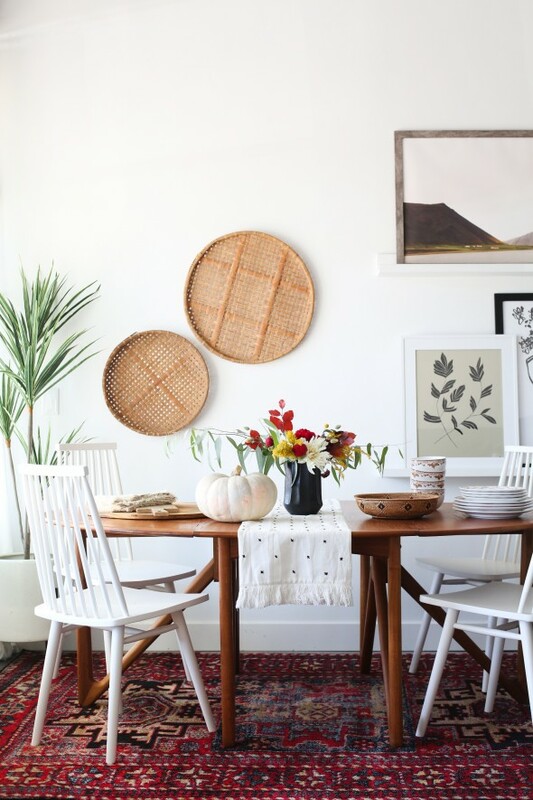 Where are those round basket wall hangings from???? 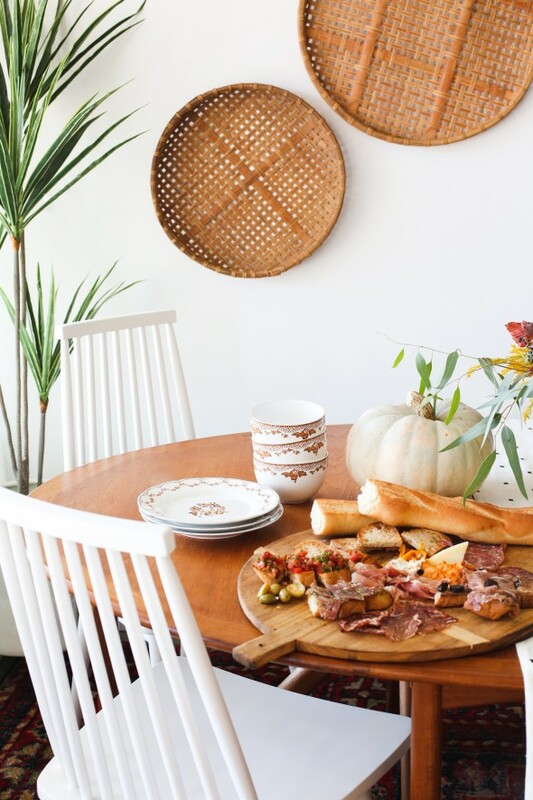 Would love to know where the round basket wall hangings are from! 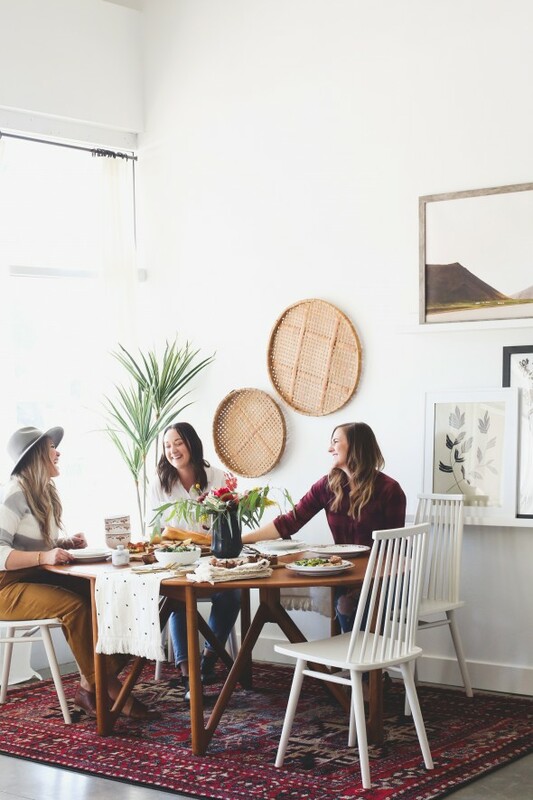 Hi – can you please tell me, where is the table from in these pictures?